Looking for inspiration in the kitchen? We have a selection of delicious and easy to follow recipes that are suitable for home chefs at every level. Come and find appealing home cooked meals for the week ahead along with impressive special occasion showstoppers. All the recipes are perfectly suited to the succulence and tenderness of Hereford beef. There are plenty of beef recipes to get your mouth watering and ideas flowing in the kitchen. All you need are the ingredients and the desire to cook. Whether you’re buying sirloin, fillet, rump or any other cut of Hereford beef, we’ve got the recipe for you. Many of us cook beef regularly, so it’s very important to use the appropriate cut of meat and cooking method. Please click the various cuts above – to discover some wonderful recipes! Have you met Harry the Hereford? Our buying tips will ensure you buy the best cuts of Hereford beef. We’ll teach you how to find the best beef, whether you’re shopping at your local butchers or the supermarket. Our cooking tips will help even the most inexperienced cooks get the most out of their chosen cuts of beef. Perfect your roast joint and serve tender and succulent beef, every time. Flavour, tenderness, and succulence are just some of the reasons why Hereford beef has risen to become one of the most sought after meats on today’s menus. Restaurants, pubs, food stalls and gourmet fast food outlets are all choosing Hereford beef as their meat of choice to satisfy their discerning customers. Finding Hereford beef on the menu is easier than it ever has been as the native breed is proving to be a hit with chefs and consumers alike. 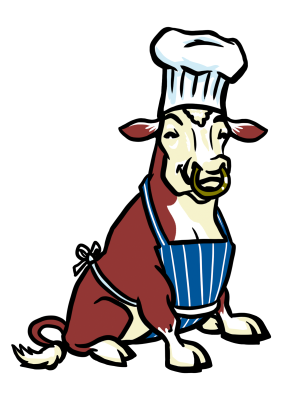 If you want to delight your senses with quality beef please head on over to see our restaurant listings and discover the country’s best places to dine. For receipe ideas using this cut of meat, use the link provided below. Rib cuts are all similar, the only difference being the length of bone. Fore rib has the longest and the ends cut off are often sold as a separate joint. Fore Rib beef can be roasted, either on the bone or boned and rolled. They can be used for pot-roasting, braising and boiling. Allow 220-350g per person; or without the bones, 150-200g. Rib cuts are all similar, the only difference being the length of bone. Top Rib beef can be roasted, either on the bone or boned and rolled. They can be used for pot-roasting, braising and boiling. Allow 220-350g per person; or without the bones, 150-200g. Rather a coarse cut and a certain amount of bone and fat. If fresh, it may be slow-roasted but, more popular, salted and used in the same manner as silverside. When bone and excess fat has been removed and the brisket rolled, it makes an economical joint of good flavour, enhanced by slow cooking. Shin and Leg beef cuts are usually classed together. The 'Shin' cut is foreleg and the 'Leg' cut is hind leg. Very lean, it makes excellent stew and good gravy. It can be quickly cooked in a pressure cooker, otherwise long, slow cooking is required. Allow 150-200g per person. Sirloin of beef is most popular for roasting. It is more expensive than other cuts and, to obtain best results, should not weigh less than 2.25 kg. It can be roasted in one piece and, if it has an undercut, this is called "fillet". This can be taken out and cooked separately (see Fillet), but not all of the sirloin has undercut. Flank, thick flank and thin flank comes from the belly of the animal. Thick flank is sometimes larded and roasted very slowly. Other pieces can be pot-roasted, braised or stewed. Allow 150-200g per portion. A very lean cut that can be fried, grilled or roasted. Allow 150-200g per person. This is also classed as a coarse cut, containing no bone. Very popular for salting or used fresh for boiling with vegetables and dumplings, silverside beef can be braised or roasted but requires long, slow cooking. Allow 220-350g per portion. This cut contains no bone. If well hung it is good for slow roasting, but more fat is needed than with sirloin cut when roasting, as it is rather dry. Pot roasted or braised are safer. A lean cut of beef ideal for roasting and frying. Allow 150-200g per person. Oxtail is usually slow-cooked as a stew or braised. It is a traditional stock base for a soup.